We would like to start out by saying that this vacuum is sort of the poor mans Dyson. It is very inexpensive compared to a Dyson pet hair vacuum. 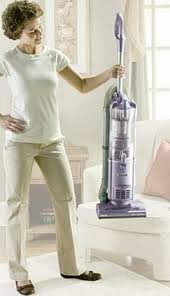 We feel that this vacuum was deliberately developed and marketed as a cheap alternative to a Dyson Pet Hair Vacuum. Both have a 5 year warranty and a bagless dirt trapping mechanism using cyclonic action to prevent loss of suction. This vacuum may be a good deal for the price but IT IS NO DYSON. 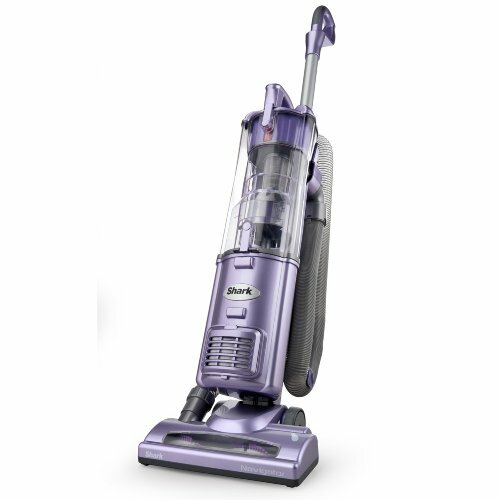 The star rating you see is gathered from consumers across the internet, so overall, people are happy with this vacuum. Small Capacity - One of the most disappointing features of the Shark Navigator is the dust bin capacity. It is nearly half that of the Dyson DC25 Animal. It would be sufficient for a small house or apartment, but if you have a large house and multiple pets the small capacity may not work for you. 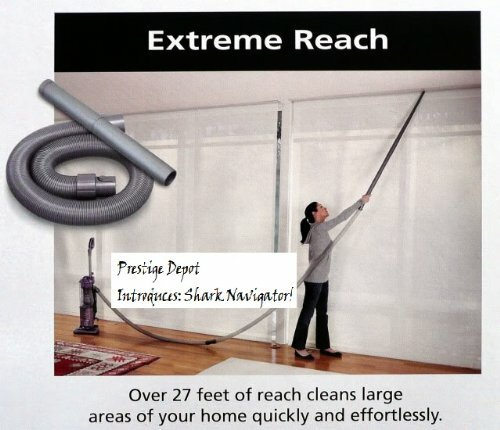 Good Suction - The Shark Navigator does provide adequate suction, and there is very little loss of suction. It is able to vacuum pet hair without a problem. The "Infinity Technology" does a good job of keeping dirt away from the filters and preventing loss of suction. Not Great for Bare Floors - One nice feature of the Shark Navigator is the dual motors. One motor controls the brush bar and the other controls the vacuum motor. You can turn off the brush motor so you can vacuum hardwood floors. The problem is the positioning of the vacuum motor exhaust. It is positioned as such, that it will actually blow away light items before you can vacuum them. If you're trying to vacuum pet hair from a hardwood floor this can be very frustrating. Good Reach - This vacuum has a good cord length and hose reach. 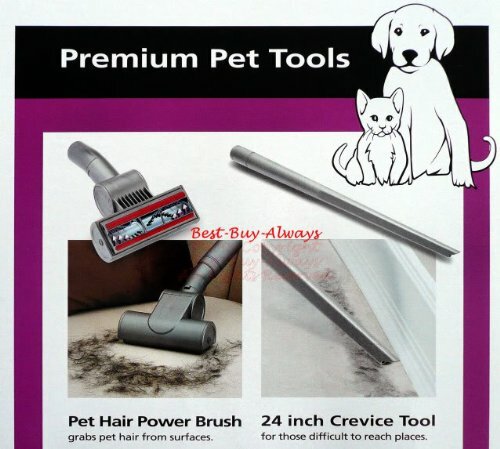 With the attached crevice tool you are able to vacuum pet hair out of those hard to reach places. Fairly Light - This vacuum is not as light as the pictures make it seem. It weighs around 18 lbs, so I wouldn’t' be holding it straight out (see above pictures. ), but all in all it is fairly light and maneuverable. Mediocre Construction - The Shark Navigator feels somewhat cheap and plastic orientated. It does come with a 5 year limited warranty. We do not know how they handle warranty claims. Good Attachments - The Shark Navigator comes with several attachments such as a crevice tools, pet hair turbo brush. The turbo brush is powered by the vacuum suction, so it is not super powered. The crevice tools are well designed. Lifetime Filters - The filters are not HEPA, but do prevent dust and pet hair from blowing back into your room. They are washable filters. Shark claims the filters only need to be washed once every 3 months. 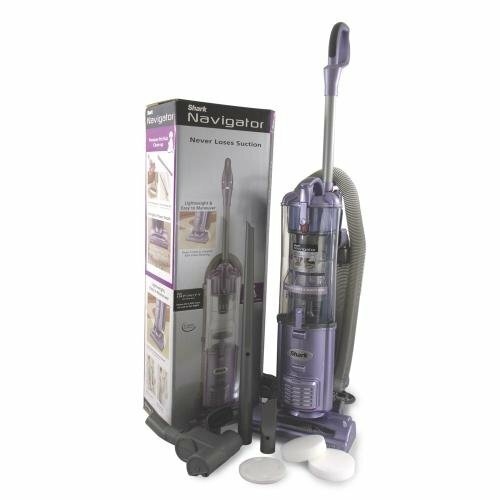 Overall, the Shark Navigator performs well, especially for a vacuum that costs less than $140.00! One thing we would like to point out is that it has a much narrower head than other vacuums we've tested. This results in having to make more passes to cover a given area. On the plus side, the narrower head does enable the Navigator to enter narrower spaces. We do have concerns about the quality of the Shark Navigator. It may have a 5 year warranty, but it is a LIMITED warranty, and we are unsure about how easy it is to make a claim. If you can afford it, we highly recommend the Sebo X4 Automatic for an extremely well built pet hair vacuum. The Sebo does require bags, so if you insist on a bagless pet hair vacuum then our next recommendation would be the Dyson DC25 Animal Pet Hair Vacuum. The Dyson is well built and much more powerful than the Shark Navigator. 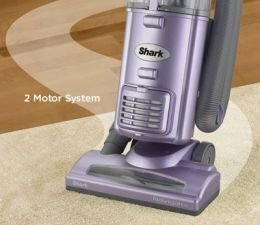 If your budget is limited and you want a decent bagless pet hair vacuum, then the Shark Navigator may well fit the bill. Please check back for more reviews as we search for the Best Vacuum for Pet Hair. If You Enjoyed Our Shark Navigator Bagless Vacuum Review Please Share it With Your Social Networks!